Seeing YOU into the future. 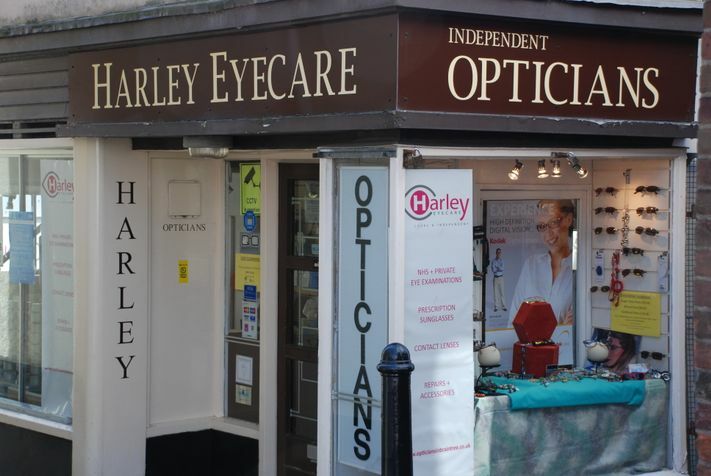 We are a family run, INDEPENDENT opticians, and have been caring for the region's eyes for over 30 years, providing eyecare, frames, lenses and contact lenses at competitive prices. We pride ourselves on not rushing you, allowing 40 minutes for an examination, as much time as you need to select your eyewear, treating you as an individual and not just another number. We have a large selection of frames to suit all budgets including the all new Kodak C:MY:K designer range at a very competitive price. We can also supply specialist eyewear for safety and sports, including ball sports, cycling, skiing and contact sports. Our friendly team are always happy to help you. Our fully comprehensive examinations are carried out by our optometrist Mr S T Neill BSc FCOptom who has over 35 years experience. We accept Edenred Eyecare Vouchers. We are authorised to carry out Eye Examinations for the Fire & Rescue, Police and most banks as well as providing VDU and safety eyewear to businesses of all sizes in the surrounding areas. We look forward to welcoming you at our INDEPENDENT Practice in Braintree. Please call us on 01376 321852, or call in to talk with a member of our friendly team.